07.30am: this morning we will start to visit One Day Mekong Delta Tour (Cai Be - Vinh Long) around 3 hrs driving. On our dedicated bus you can see the green paddy fields stretching towards the horizontal. Next, then on foot to reach a coconut candy, crispy rice cake factories (served free with premium hot tea) and you might buy coconut candy and handcrafted items from coconut trees of Mekong Delta for souvenir. After the rest, we are divided into many small groups and get on small row boats. During this 20 minutes trip, your boat will zigzag through a maze of shadow canals to enjoy the fresh air along the canal and wonderful water coconut tree landscape. After that, we will roaming through a village about 20 minutes to visit our natural view with quiet and peaceful villages or we can relax on a hammock for a short rest in Mekong Delta. The stop will be brief, ensuring that we come back to Saigon before 7:00 PM. 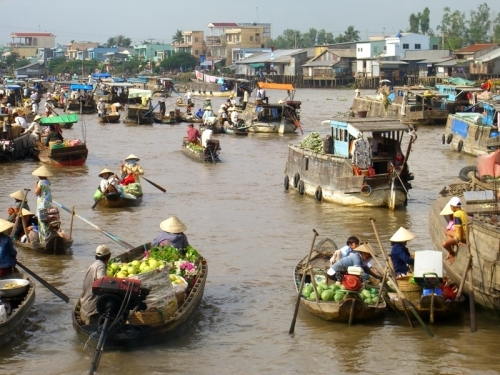 Included: Transport in tour, English speaking guide in tour, boat trips in Mekong delta have enough lifejacket for everyone, lunch, 01 water bottle/pax and accommodation in Saigon. Excluded: Breakfast, dinner, tips, drinks, travel insurance and personal expenses. Airport transfer to Tan San Nhat airport. Arrival on Danang airport. Pick up and transfer to Hoi An old town. Have a lunch at the restaurant. We will stop to visit Cham museum. The Cham people occupied this area of Vietnam from the 4th to the 16th centuries and in the Museum you will find the best examples of Cham sculpture anywhere in the world. We continue south to Marble Mountain, series of large marble outcrops that have acquired mythical significance over the centuries. The Cover of the Marble Mountain has a number of sacred Buddhist shrines as well as a former Communist guerilla hospital from the Vietnam War. Overnight in Hoi An. Free at leisure. Included: Airport transfer, transport in tour, English speaking guide in tour, one breakfast at hotel, one lunch, entrance fees, 01 water bottle and accommodation in Hoi An. Excluded: Dinner, travel insurance, tips, drinks, personal expenses and air ticket: Saigon - Danang. 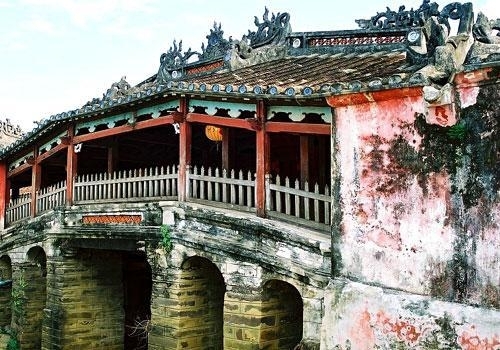 Overland to Hue–the first World Heritage site recognized by UNESCO in Vietnam (110 km). Admire beautiful landscapes on the road through the Hai Van Pass with panoramic views of clouds, the sea, and the mountains. Hue is a beautifully located City on the banks of the perfume River. As Vietnam's capital throughoutthe Nguyen Dynasty (1802-1945), as a center of Vietnam Buddhism and scholarship and finally as the setting for some of Vietnam War’s most bloody fighting. Hue provides a unique Window into Vietnam and its complex past. Upon arrival at Hue, we will visit the impressive home of the Nguyen dynasty emperors - the Citadel, Thien Mu Pagoda. Much of the citadel was destroyed during the Offensive in 1968 but is gradually being restored then. Then get on the boat for a sight -seeing along the Perfume River to see fishing village and sampan on the way back. Do no miss the Sunset on the Perfume River! Back to town at 04.30 pm. Included: Transport in tour, English speaking guide in tour, breakfast at hotel, lunch, entrance fees, 01 water bottle and accommodation in Hue. Excluded: Dinner, travel insurance, tips, drinks and personal expenses. Minh Mang Tomb (60 minutes). Khai Dinh Tomb (40 minutes). Tu Duc Tomb (40 minutes). Conical Hat Making Village and Incense Making Village (20minutes). Kinh Van An Matial Art (30 minutes). 12.30 pm: Back to Town for lunch. BUFFET LUNCH (50 TRADITIONAL HUE FOODS, ASIAN AND WESTERN DISHES). After lunch, we will transfer you to airport to flight to Hanoi at. Included: Transport in tour, English speaking guide in tour, entrance fees, breakfast at hotel, lunch, 01 water bottle, airport transfer and accommodation in Hanoi. Excluded: Dinner, travel insurance, tips, drinks, personal expenses and air ticket: Hue - Hanoi. 08.00am- 08.15am: Pick up at your hotel and depart for Ha Long city. 16:45pm – 18:00pm: Enjoy an hour or more kayaking through slide rock cliffs before swimming and joining some competitions for prize and fun, on white sandy beach (weather permitted). 18:00pm – 18:45pm: Board back the Cruise, take shower and enjoy special cocktail party on the sundeck before dinner time. 19:00pm – 20:30pm: Enjoy a specially prepared dinner in a romantic atmosphere. 21:00pm: Evening activities – enjoy movie night, board games, karaoke singing and squid fishing or relax at leisure. Stay overnight on cruise. Included: Transport Hanoi - Halong by bus, English speaking guide in tour, entrance fees, boat trip, breakfast at hotel, lunch, dinner, kayaking, 01 water bottle, accommodation and insurance on junk. Excluded: Travel insurance, tips, drinks and personal expenses. 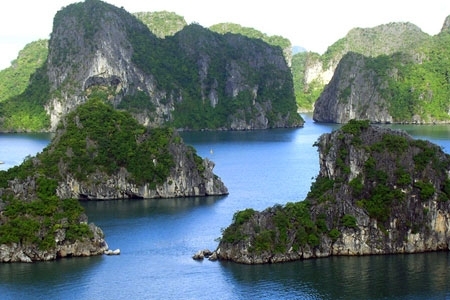 09:30am- 10:00am: Keep cruising to visit Heritage Halong bay. Enjoy the cooking course after you pack your things and leave the cabin. 11:30am – 12:00pm: Sail back Ha Long pier, have a lunch and take a bus transport back to Hanoi. Included: Transports Ha Long – Hanoi by bus, boat trip, accommodation on board: safe en-suited cabin with A/C, one lunch, one breakfast, entrance fees, insurance on cruise, 01 water bottle, English speaking guide & accommodation in Hanoi. 08:00am - 08:30am: Our guide & driver will pick you up at your hotel in Hanoi Old Quarter and start Hanoi City Tour. Then visit Ho Chi Minh Mausoleum and Museum. Enjoy the architectural and historical aspects of Uncle Ho's final resting-place. PM: After lunch proceeds to visit Bat Trang Pottery Village continue to visit the Literature Temple and Quoc Tu Giam. 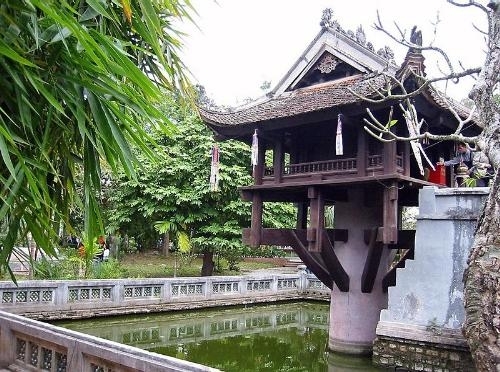 Vietnam's first university constructed in 1070 it's gardens and well-preserved architecture offers a relaxing glimpse into Vietnam's past. 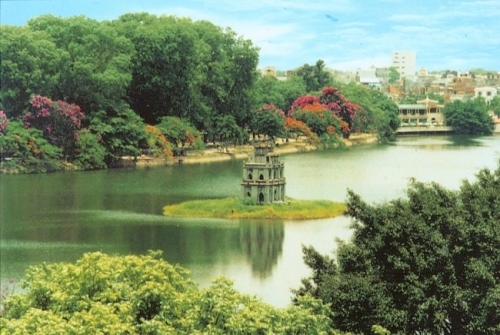 We will take you past Hoan Kiem Lake see the peaceful waters and visit Ngoc Son temple. For the end of the tour journey visit by coach trip along the Hanoi Old Quarter. Airport transfer to Noi Bai to flight back Saigon. Arrival on Saigon, driver will pick-up and transfer to hotel. Included: Air con tourist bus, airport transfer, entrance fees, breakfast at hotel, lunch, 01 water bottle and English speaking guide in tour, . Exlcuded: Dinner, travel insurance, tips, drinks, personal expenses and air ticket: Hanoi – Saigon. Transport: Airport transfer, air con tourist bus in tour, boat trips in Meking Delta have enough lifejacket for everyone. Kayaking and insurance on junk in Halong. Meals: 06 breakfasts, 07 lunches and 01 dinner. Air ticket: Saigon - Danang, Hue - Hanoi and Hanoi - Saigon. Please provide name of hotel and hotel address where we can be free pick-up. Please choose "air ticket" part when booking this tour. Please bring your passport for check-in hotel. We will free pick-up at hotel in the central areas.